D Andrej Meszároš (Vancouver, 2004-05) has signed a one-year extension with Slovan Bratislava (Slovakia, KHL). The team captain, he had four goals and nine assists in 35 games this season. . . .
F C.J. Stretch (Kamloops, 2005-10) has signed a one-year extension with Löwen Frankfurt (Germany, DEL2). This season, he finished third in the league scoring race, putting up 60 points, including 34 assists, in 52 games. . . .
G Patrik Bartošák (Red Deer, 2011-14) has signed a one-year extension with Vítkovice Ostrava (Czech Republic, Extraliga). This season, in 41 games, he was 2.22 and 926, with five shutouts. . . .
F Marek Kalus (Spokane, Brandon, 2010-13) has signed a try-out contract with Vítkovice Ostrava (Czech Republic, Extraliga). This season, with Havířov (Czech Republic, 1. Liga), he had 12 goals and 13 assists in 41 games. . . .
D Tomáš Kundrátek (Medicine Hat, 2008-10) has signed a one-year contract with Torpedo Nizhny Novgorod (Russia, KHL). This season, with Slovan Bratislava (Slovakia, KHL), he had eight goals and five assists in 39 games. @Butter_29 @SCBroncos @aleksiheponiemi @T_Steener @TheWHL They need a 'trainer of the year' award. The WHL handed out its postseason awards on Wednesday in Calgary and it turned into the Regina Pats show. The Seattle Thunderbirds are hoping that doesn’t happen in the championship final, for the Ed Chynoweth Cup, that opens Friday in Regina. Steel picked up the Bob Clarke Trophy as the regular-season scoring champion. The last time the same man was coach- and executive-of-the-year in the same season? Brent Sutter of the Red Deer Rebels got both awards for the 2000-01 season. There is a whole lot more on these award winners and others on the WHL’s website — whl.ca. The Seattle Thunderbirds flew into Regina on Wednesday afternoon to begin final preparations for the Friday night opening of the WHL’s championship series for the Ed Chynoweth Cup. Last season, the Thunderbirds met the Brandon Wheat Kings in the final, with the Manitoba squad winning the series, 4-1. That series opened in Brandon and was played with a 2-3-2 format. In order to get to Brandon, the Thunderbirds rode their bus to Abbotsford, B.C., then flew to the Wheat City. When the teams flew back, they rode the same charter from Brandon to Abbotsford, then took separate busses to Kent, Wash. Yesterday, the Thunderbirds flew out of Boeing Field, which I’m told involved a 15-minute bus ride to get there, which beats the two-hour ride to Abbotsford. So the Thunderbirds, you might say, already are ahead of the game. The WHL’s bantam draft is scheduled to begin this morning at 7:30 PT in Calgary. There won’t be any running coverage of the draft at this site. They start streaming at whl.ca at 7:30 PT. 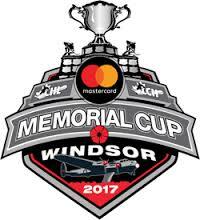 There has been some grumbling about ticket prices for the 2017 Memorial Cup that is scheduled to run in Windsor, Ont., from May 19-28. John Savage, the chairperson of the Windsor organization committee and a co-owner of the OHL’s Windsor Spitfires, the host team, told Molnar that ticket prices cover costs like flights and hotels for the competing teams. "Just looking at the work and effort that has to go into this, it's really a break even proposition," Savage told Molnar. According to financial statements filed in a Calgary court earlier this year, each of the WHL’s 22 teams received $148,913 — a total of $3,276,088 — from the 2013 Memorial Cup that was held in Saskatoon. On top of that, each team got $118,477 — a total of $2,606,494 — from the 2016 Memorial Cup that was held in Red Deer. Molnar’s story is right here. The Southern Professional Hockey League lost a franchise on Wednesday as the Columbus Cottonmouths announced that they will suspend operations, at least for 2017-18. . . . The Cottonmouths had been around for 21 seasons. . . . Jerome Bechard, who played in the WHL with the Moose Jaw Warriors (1986-90), is the Cottonmouths’ general manager and head coach. “The franchise is still there,” Bechard, who has been in Columbus since Day 1 in 1996, told Chuck Williams of the Columbus Ledger-Enquirer. “The league and ourselves are still working to get an ownership group in here. Obviously, not to play ’17-18, but, hopefully, to come back in ’18-19.” . . . Williams’ story is right here. The BCHL’s Surrey Eagles have signed Brandon West to a multi-year contract as their head coach. West has coached in the BCHL for more than six seasons, most recently with the Salmon Arm Silverbacks. He was in his third season with Salmon Arm when he was fired in November. . . . With the Eagles, West, 32, takes over from Blaine Neufeld, the head coach for the past three seasons. Neufeld now is the Eagles’ general manager. . . . It is interesting, too, that Eagles owner Chuck Westgard has taken a hands-on approach again. From a news release: “Three years ago, after having the Eagles win the Fred Page Cup, the Western Canada Cup and eventually lose in overtime in the semi-final of the RBC Cup In Charlottetown, Westgard hired an outside management group to run the team. He has now decided the time is right to get actively involved again.” . . . This season, the Eagles finished 18-36-4-0 and didn’t qualify for the playoffs. Ed Patterson will be back for a seventh season as head coach the junior B Kamloops Storm of the Kootenay Junior International Hockey League. The Storm made that announcement on Wednesday. . . . The Storm also added Matt Kolle to its staff as the assistant general manager. . . . Patterson, 44, played in the WHL (1988-92) with the Seattle Thunderbirds, Swift Current Broncos and Kamloops Blazers. There had been some doubt as to whether he would return to the Storm after a change of venue — the team moved from McArthur Island to Memorial Arena — wasn’t greeted with gusto by the citizenry. “It . . . comes down to money,” Storm owner/GM Barry Dewar told Kamloops This Week in March. “If I can’t find a source of revenue to pay Ed . . . then it becomes hard to keep those kinds of talents.” . . . Apparently, Dewar and Patterson found a way to keep making it work. . . . Kolle had tried earlier this year to land a KIJHL franchise for Quesnel, B.C., however other team owners voted down that move in January. Former WHL/NHL F Jeff Shantz has been added to the coaching staff at the Edge School in Calgary. Shantz, 43, will be a co-coach, alongside Evan Bak, with the Bantam varsity team that plays in the Canadian Sport School Hockey League. . . . Shantz, from Duchess, Alta., played for the Regina Pats (1990-93), before going on to a pro career that included 642 games in the NHL. He retired following the 2010-11 season, after spending eight years in Europe.